“Lord of Chaos” – Robert Jordan’s “The Wheel of Time,” Book 6 and Christianity | J.W. Wartick -"Always Have a Reason"
“Humanity retreated, and the Shadow advanced.” – Robert Jordan, “Lord of Chaos,” p. 450. Poignant words. 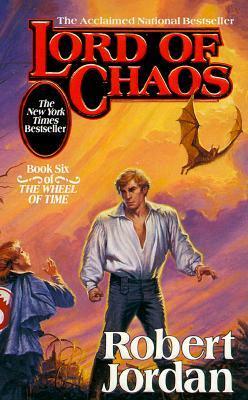 Robert Jordan’s epic series, The Wheel of Time, continued with book 6: Lord of Chaos. In this post, we’ll explore a couple major themes that came through in this exciting fantasy adventure. There will be SPOILERS for book 6 (and possibly those before) in this post. Please DO NOT SPOIL later books for other readers. These names would be unfamiliar to those who haven’t read the series, but the implication should be clear: the maps showed the steady retreat of humanity in the face of the evil forces of the “Shadow.” The picture is breathtaking: one can easily imagine a series of maps showing encroaching darkness. But beyond the mere imaginary, it seems to be a fact that humanity–true humanity–is constantly retreating from evil. The evils of human trafficking, hunger, dishonesty, abortion, and the like continue to be perpetuated, and yet humanity is more interested–much like the people of The Wheel of Time–in the everyday mundane occurrences. Those things which “don’t harm me” are ignored. If we could see a map, we could see the Shadow encroaching as well. It’s important not to completely focus on doom and gloom, however. In Lord of Chaos, the Dragon is Reborn, and the opportunity to defeat the Shadow is approaching. But those who know of prophecies know that this Dragon may also bring much destruction to the world. The Christian narrative presents a picture less bleak: evil is already defeated through our Lord. Final victory is inevitable. There is much injustice in this passage. First, the victims are blamed for their destruction: the reasoning is that they brought it upon themselves. Unfortunately, reasoning like this is frequently found today when people comment on various tragedies. We should not blame the victims, but rather go to their aid. Second, there is a kind of notion that “the Creator” (God?) would be pleased with this destruction, or at least could not be bothered to intervene. Again, this kind of reasoning is sometimes mentioned: God will sort them out, why bother with the possible consequences of bombing targets in civilian zones? Why deal with the plight of the refugee? Third, this plight of the refugee is found throughout the book. What of those who have been displaced by violence and war? In the book, it is actually Rand al’Thor who is the one who cares most about them. In our world, it should be the Christian who rushes to aid the defenseless. The world of “The Wheel of Time” continues to be deeply steeped in fulfilled prophecy–whether coming fulfillment or already culminated. The emphasis on prophecy plays into the notion in Jordan’s world that there is a “Wheel of Time” which leads to a kind of cyclical universe model. For our purposes, it is worth simply considering the notion that prophecies may have unexpected fulfillment. Rand does not always meet the prophecies of the Dragon in expected ways. Similarly, the way that some prophecies about the Messiah were fulfilled is not the way that many at the time (or now) expected. We have seen that Lord of Chaos brings up a number of interesting themes. From here, we shall move onward into more books in the series. What are your thoughts on these themes? Do you have any other major themes you can think of as being found within the series? Remember- no spoilers for later books! « Sunday Quote!- My Position is the Gospel; Yours is Not!